September 4 - October 2, 2012. Opening Reception: Thursday September 6, 5:30 - 7:30pm. A study of motion, a representation of energy, an attempt to seize a moment. 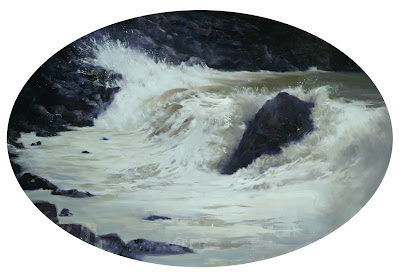 The sea has been a source of inspiration for centuries, with its hypnotic rhythms and relentless transformations. For artist Kim Cogan, the challenge was to capture this essence, to work with fluid shapes and contain the power of waves in a fixed, representational form. Cogan lives and works close to the coast and western edge of San Francisco. His proximity to the ocean and the unique landscape of the city’s outer rim inspired his latest body of work. Trained to work from observation, but unable to work from life, Cogan’s process involved the piecing together of thousands of photos in an attempt to capture the singular moment of a breaking wave. The finished paintings are referenced from several photographs, assembled together in sporadic brushstrokes to convey a sense of motion, color and mood. 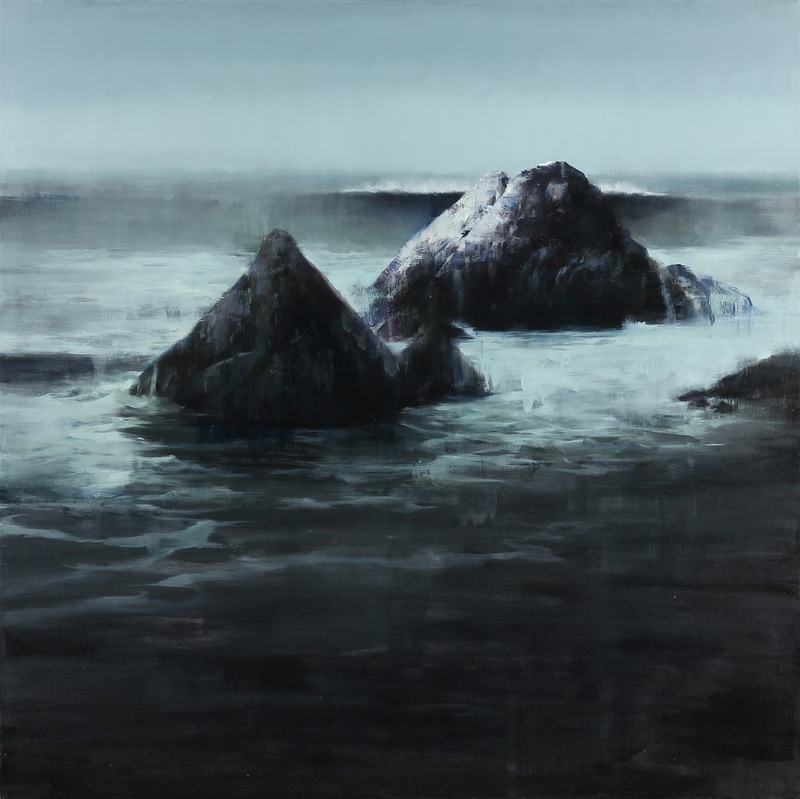 Sea Change is both a meditation on and representation of a transformation for Cogan. It is a progression that captures the ever-shifting process of an artist’s work.